Even the most safety conscious person in the world understands what a thrill it must be to hit the highways on a motorcycle. The freedom of riding motorcycle, whether it’s a scooter, a bullet bike, or a Harley, is something that driving a sedan just can’t begin to match. 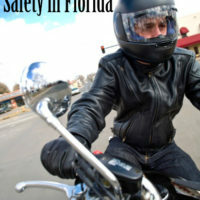 That being said, one cannot ignore the fact that Florida sees more motorcycle fatalities than any other state in the nation. Taking two wheels out on the highway carries inherent dangers, and there is no question but that a collision between a motorcycle and a car, truck, tree or fence will not bode well for the bike rider. If you or a loved one experience serious injuries or death as a result of such a collision and someone else is at fault, a good personal injury attorney might be worth looking into. Four in ten of motorcyclists killed were not wearing a helmet. Motorists turning left, cutting off motorcyclists. Rain, fog and other weather conditions impairing visibility and stability. Keep your bike in good working order. If, despite your best efforts, you or a loved one experiences a serious motorcycle accident, you will not want to face medical procedures, bills, and insurance battles on your own. Contact the aggressive, experienced legal team at the Law Offices of Robert W. Elton in Daytona & Ormond Beach right away for a free, confidential consultation. We will fight to get the settlement you deserve.